Looking to buy a new or used commercial vehicle for business purposes? 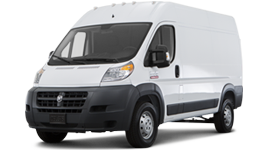 Investing in a new commercial vehicle can be a daunting task. In addition to the expenses that you are required to bear, you would also be concerned about the returns that this investment might help you gain. Our team of experts at Investors Mortgage are optimistic and talented individuals who will help you to reduce unnecessary liabilities and expenses that you might incur if you take an uninformed decision, or agree to choose the finance that your vehicle dealer provides. Under this option the customer enjoys the benefits of ownership of the commercial vehicle or car. However, actual ownership is maintained by the provider to whom a monthly fixed rental amount is paid. As the lease ends, the customer could either take possession of the vehicle by paying the residual amount, or choose to extend the lease. Under this option, the commercial vehicle or car is purchased by the finance provider on the customer’s behalf. The customer is allowed to drive away the vehicle in return for monthly payments. Upon paying the final instalment (including any residual value or balloon payment), the customer takes possession of the vehicle. Chattel Mortgage is a fairly simple system where the lender provides the customer with funds to purchase the vehicle under full ownership. The borrower has to back this application by mortgaging a valuable asset till the final payment has been made. A popular finance product in Australia, Novated Lease involves three parties, you, your employer and the lender. The car is leased by your employer on your behalf in return for regular lease payments. Best part is that the amount is deducted from your pre-tax income amount, which reduces your taxable income, entitling you to higher disposable income. In addition to the features of the Novated Lease, the employer also undertakes the vehicle operating costs and not just the lease amount that is involved in purchasing the car/vehicle. How is Chattel Mortgage different from CHP? Under a CHP agreement, the financier will maintain ownership of the vehicle and rent it out to you, whereas under the Chattel Mortgage scheme, you are the rightful owner from day one. A balloon payment is a lump sum (residual) amount that is paid towards the end of your loan term. The payment of such an amount could result in lesser payments during the term. Which information is vital for my application?